What gives? 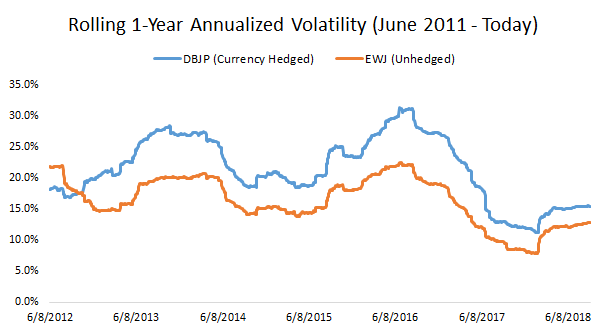 How can currency hedged ETFs exhibit more volatility than their unhedged counterparts? These are just 2 examples. 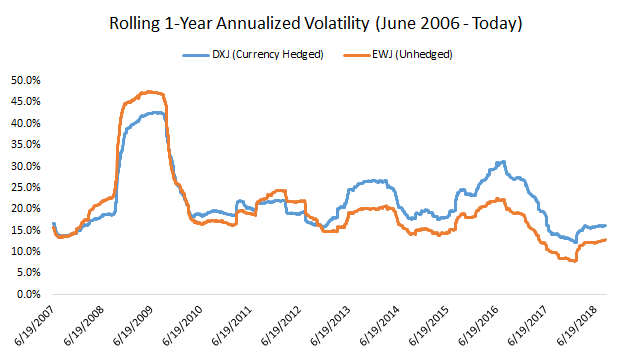 There are an endless array of possibilities when it comes to foreign equities and currencies, and no simple rule that says a currency hedged exposure has to be less volatile than the alternative. Yes, if you do not believe in the benefits of currency diversification and/or expect the foreign currencies to significantly underperform the U.S. Dollar over time. But the direction of currencies can be quite hard to predict, which is why proponents of currency hedging are often saying that by not hedging you are essentially “making a bet” on their direction. 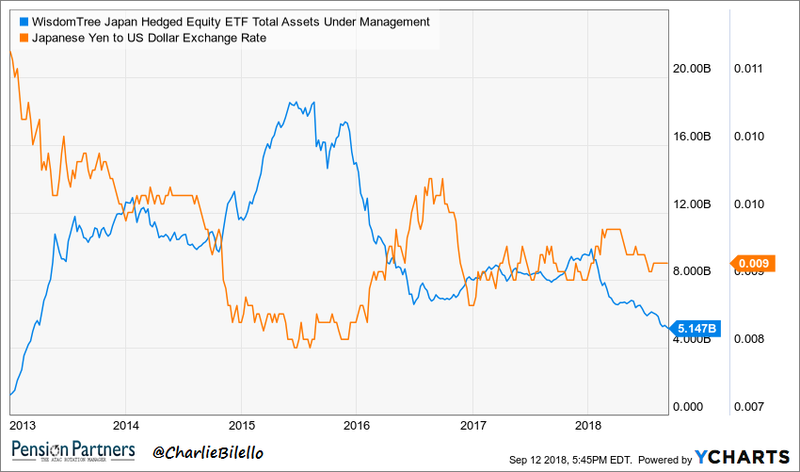 There is truth in that statement, but judging by the timing of asset flows in the currency hedged ETFs, buyers of these products are also making a bet on direction. 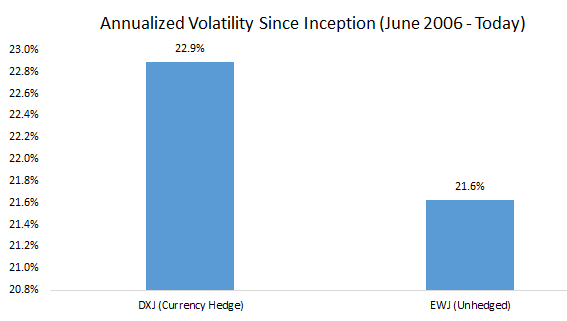 If you are more likely to stick with a currency hedged exposure because you do not believe in currency diversification or you believe foreign currencies are in a secular decline, that may be preferable. If you are more likely to stick with a partially hedged exposure (yes, there’s an ETF for that) because that will prevent you from FOMO-induced chasing, that may be preferable.